Walter Leroy Moody, 83-year-old package bomber, executed in Alabama. An Alabama inmate convicted of the mail-bomb slaying of a federal judge during a wave of Southern terror in 1989 has been executed as the oldest prisoner put to death in the US since capital punishment was reinstated in the 1970s. Walter Leroy Moody Jr, 83, was pronounced dead at 8.42pm local time on Thursday following an injection at the Alabama prison at Atmore. He had no last statement and did not respond when an official asked if he had any last words. At his 1996 trial, prosecutors described Walter Leroy Moody as a meticulous coward who committed murder by mail because of his obsession with getting revenge on the legal system, and then committed more package bombings to make it look like the Ku Klux Klan was behind the judge’s murder. Walter Leroy Moody became the oldest US inmate put to death since executions resumed in the US in the 1970s, according to the non-profit Death Penalty Information Centre. His lawyers did not raise his age in legal filings, but they unsuccessfully argued in a clemency petition to Alabama’s governor that his age and health would complicate the lethal injection procedure. The US Supreme Court temporarily stayed execution plans on Thursday evening to consider Walter Leroy Moody’s late appeals, but later lifted the stay without comment, allowing the execution plans to go forward. 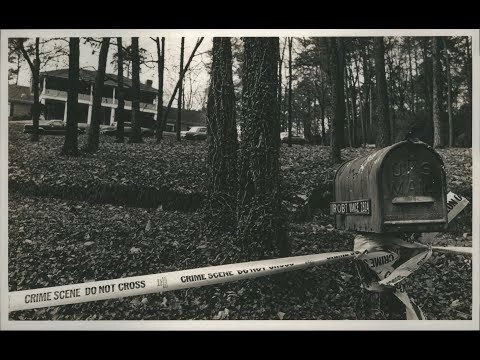 Judge Robert S Vance, a member of the Atlanta-based 11th US Circuit Court of Appeals, was at his kitchen table in Mountain Brook, Alabama, on December 16 1989 when he opened a package after a morning of errands and garden work. The explosion ripped through the home near Birmingham, killing Mr Vance instantly and severely injuring his wife, Helen. Prosecutors said Walter Leroy Moody, who had attended law school, had a grudge against the legal system because the 11th Circuit refused to overturn a 1972 pipe-bomb possession conviction that prevented him from practising law. Authorities said Walter Leroy Moody mailed out a total of four package bombs in December 1989. A device linked to Walter Leroy Moody killed Robert E Robinson, a black civil rights lawyer from Savannah, Georgia. Two other mail bombs were later intercepted and defused, including one at an NAACP office in Jacksonville, Florida. Authorities said those bombs were meant to make investigators think the crimes were racially motivated. Walter Leroy Moody was first convicted in 1991 in federal court and sentenced to seven life terms plus 400 years. He was later convicted in state court in 1996 and sentenced to death for Mr Vance’s murder. In last-hour appeals, Walter Leroy Moody’s lawyers had asked the US Supreme Court to stay his execution in order to review whether his federal sentence, which was handed down first, could be interrupted. They also argued that the aggravating factors used to impose a death sentence were improper. The nation’s high court had no comment on those last-minute appeals on Thursday. Earlier, Walter Leroy Moody’s lawyer had unsuccessfully asked the Alabama Supreme Court to block the lethal injection arguing that an emergency medical technician who assessed Walter Leroy Moody on Wednesday told the inmate he had “spider veins” and seemed concerned. Alabama halted an execution last month after workers couldnot find a usable vein on a 61-year-old inmate. Mr Vance’s son, Robert Vance Jr, now a circuit judge in Jefferson County and Democratic candidate for chief justice in Alabama, said it is important that people remember how his father lived, not just how he died. “He was a great judge, a great lawyer before that, and a great father,” he said earlier as the execution loomed. Walter Leroy Moody had always maintained his innocence. In recent weeks, Walter Leroy Moody had sent a letter to the younger Vance claiming he was the innocent victim of a government conspiracy. “Had my Dad been murdered, I would want to know who had done it,” Walter Leroy Moody wrote. The younger Vance said he put the letter in the bin. The younger Vance made no plans to witness the execution. He said he had to make peace with his father’s death, but said he has no doubt that Walter Leroy Moody is guilty. Walter Leroy Moody, he added, fits the definition of a psychopath.